It’s not exactly a well-kept secret, but Spain’s collection of luxury hotels housed in incredible old buildings and locations throughout the country definitely flies under the international radar. 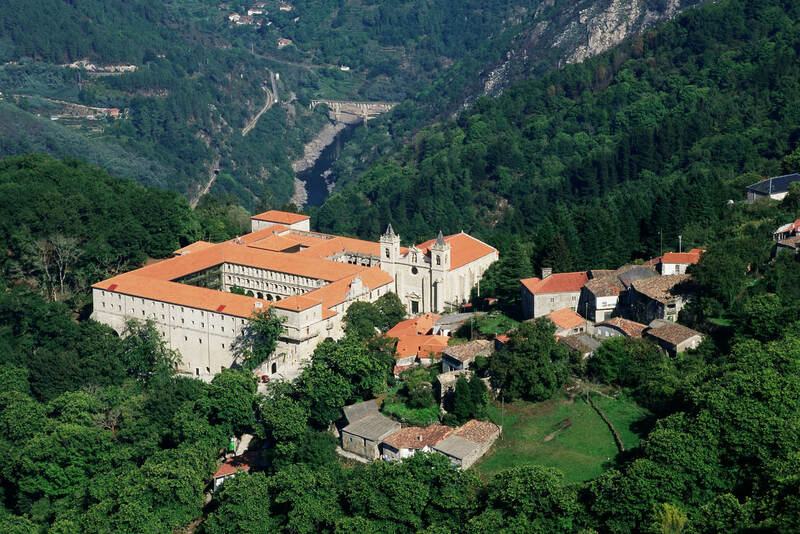 Declared a historic-artistic site in 1923, Santo Estevo Monastery is set deep within the Ribeira Sacra wine region of Galicia and its origins are believed to lie in the 6th and 7th centuries. Perched atop the Pico de los Hidalgos and contained within a wall, this small but charming village is considered one of Spain’s loveliest and has been designated an area of artistic and historical importance. 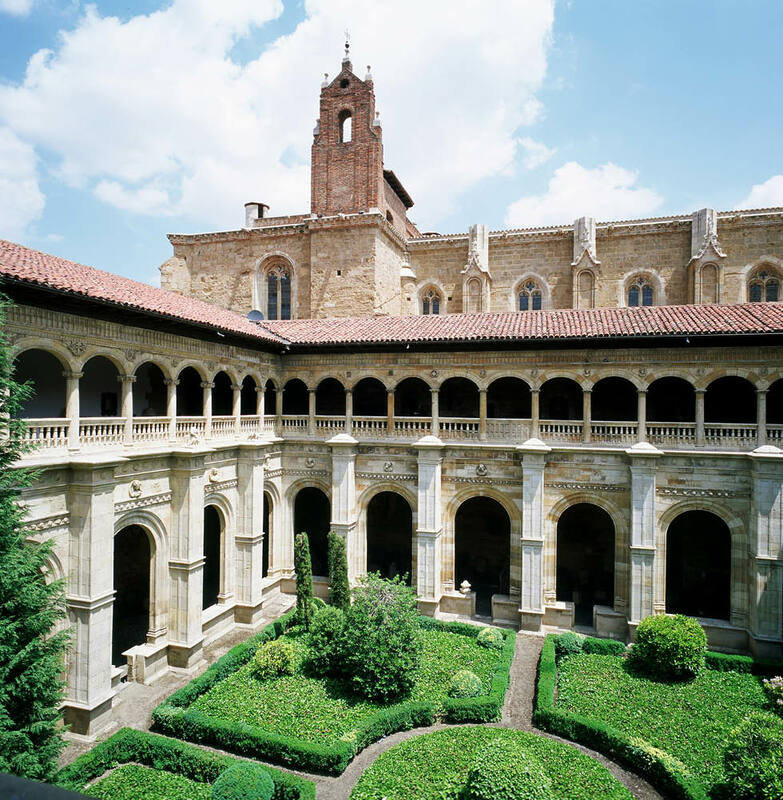 This spectacular five-star parador, known as Hostal dos Reis Católicos, was built in 1499 as a royal hospital to provide care and shelter for pilgrims as they reached the conclusion of the Camino de Santiago. The pretty town of Santillana del Mar, in Spain’s northern region of Cantabria, was designated a National Monument in 1889. This traditional Galician mansion is located within the walls of a medieval fortress that once protected the port of Baiona, in the Rias Baixas (close to the Portuguese border), from enemies and pirates. 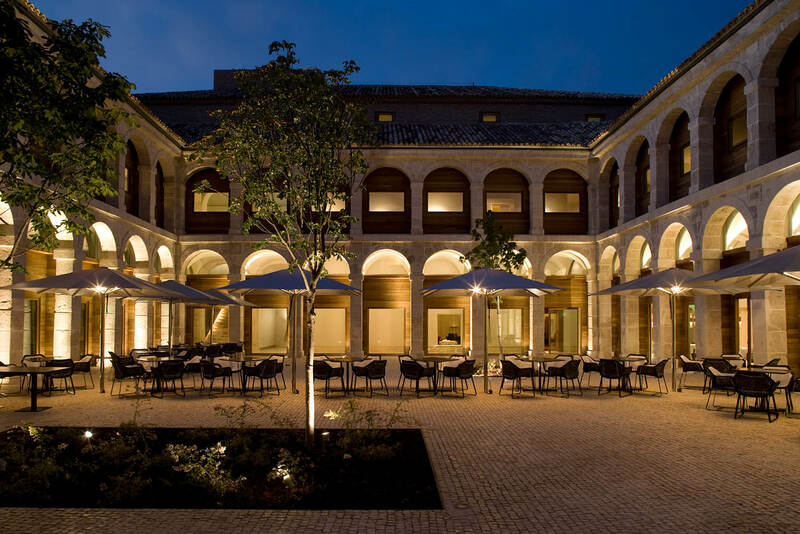 UNESCO world heritage-listed Alcalá de Henares is the world’s first planned university town and its four-star parador is befittingly progressive. 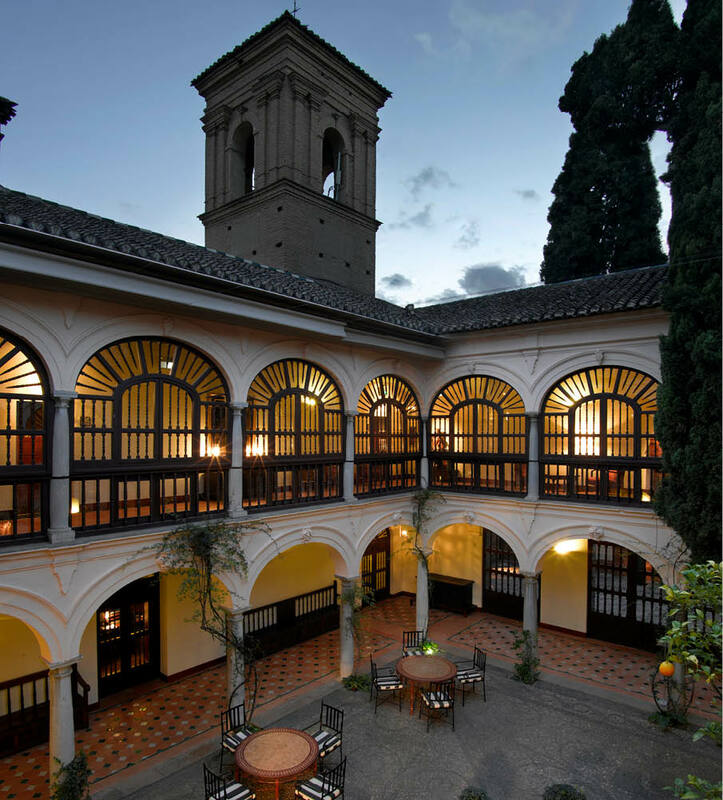 For an immersion into the intoxicating culture of Andalucía, it doesn’t get much better than a stay in the four-star Parador de Granada, set within the grounds of the Alhambra complex. Spain is jam-packed with astonishing old palaces, castles, forts and monasteries, and the best thing is that you can stay in them. Get to know the country’s paradors: luxury hotels in the most unique places. Writes Imogen Eveson. It’s not exactly a well-kept secret, but Spain’s collection of luxury hotels housed in incredible old buildings and locations throughout the country definitely flies under the international radar. Medieval monasteries, Moorish castles, Renaissance palaces, volcanic craters; you name it, you can stay in it. The state-run company Paradores de Turismo de España dates back to 1928 when the first parador was opened by King Alfonso XIII in the foothills of the Sierra de Gredos range. The mission was two-fold: to promote tourism in the country and to save its historic monuments from ruin by creating a revenue stream that would fund their upkeep. Today, these paradors – from the Spanish word parar, to stop – encapsulate what we love about Spain, from its centuries-old culture to its stunning landscapes: if we could, we would parador-hop around the country. Most also have excellent restaurants that serve regional specialities and wine, so you can try a taste of the menu – and the ambience – even if you’re not staying the night. There are now 94 establishments ranging from three to five stars all across Spain (with starting prices that range from around $100 to $500). Here are some of the most wonderful and unique. 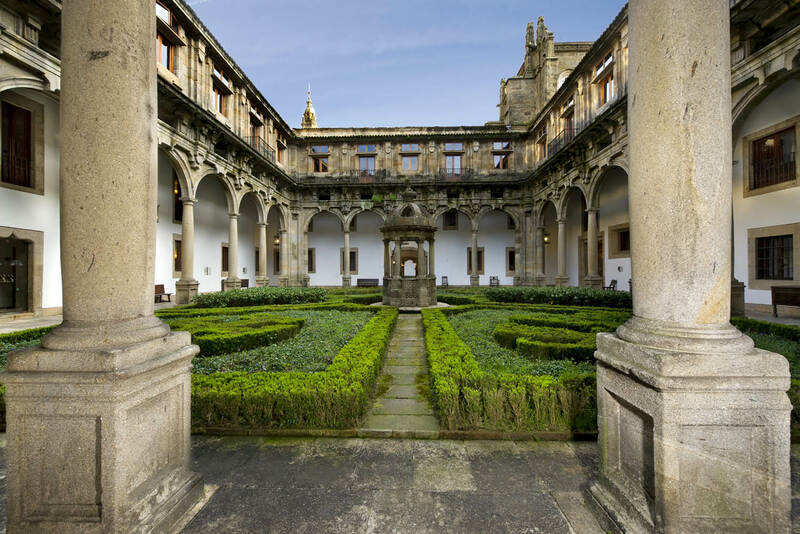 This spectacular five-star parador, known as Hostal dos Reis Católicos, was built in 1499 as a royal hospital to provide care and shelter for pilgrims as they reached the conclusion of the Camino de Santiago. 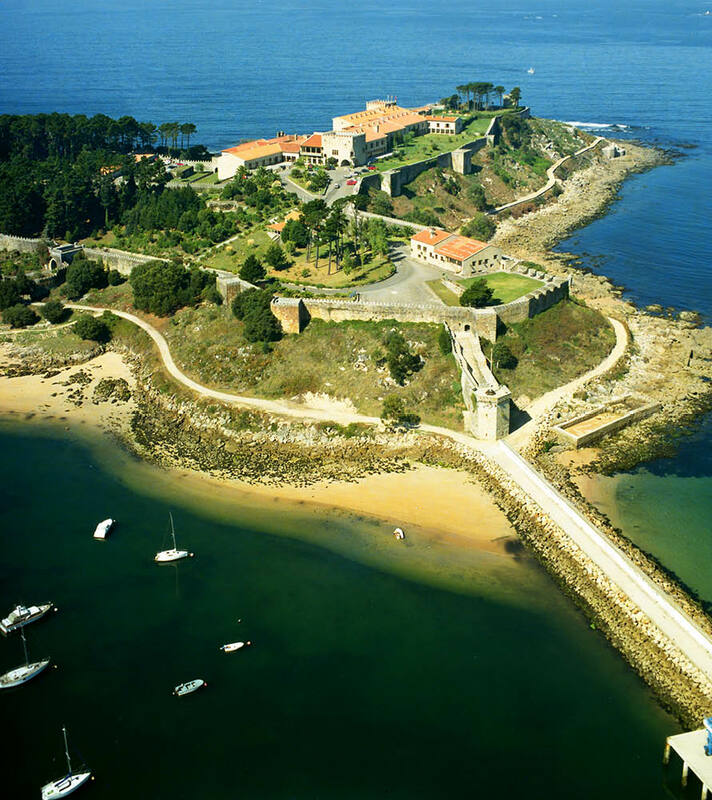 Today, it is considered to be the world’s first hotel, as well as one of the most beautiful and luxurious of all the paradors – built in a Galician Renaissance architectural style around four gorgeous cloisters. 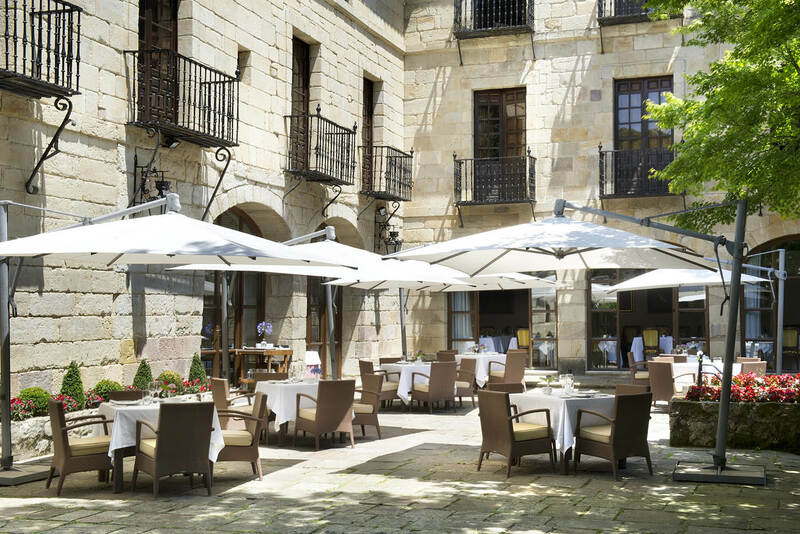 Learn about its history through a guided tour – while this service is offered by many paradors, the Parador de Santiago de Compostela extends the invitation to all visitors, not only overnight guests. Just as impressive as the Parador de Santiago de Compostela is this five-star parador in north-west Spain’s historic city of León, set within the jaw-dropping 16th-century San Marcos monastery. This traditional Galician mansion is located within the walls of a medieval fortress that once protected the port of Baiona, in the Rias Baixas (close to the Portuguese border), from enemies and pirates. It was here that ships first arrived in Europe with news of the discovery of America, but today’s visitors will be content with beautiful views and magnificent sunsets over the Atlantic. Explore the parador’s grand interiors, stroll its fortress walls, and visit local wineries: the region is famous for its white wine that partners well with local seafood. This three-star lodge-style accommodation in Tenerife, one of Spain’s Canary Islands, gets points for being among the most unique locations of all the paradors. You’ll find it in the crater of an extinct volcano within the surreal landscape of the Teide National Park. UNESCO world heritage-listed Alcalá de Henares is the world’s first planned university town and its four-star parador is befittingly progressive. It blends a 17th-century monastery school and student lodgings with contemporary architecture, with interiors that are decidedly more modern and minimal than its other parador counterparts. It’s the ideal spot from which to absorb the lively town’s art and history, including the Cervantes Birthplace Museum, where Spain’s pre-eminent writer and author of Don Quixote was born and spent his childhood. 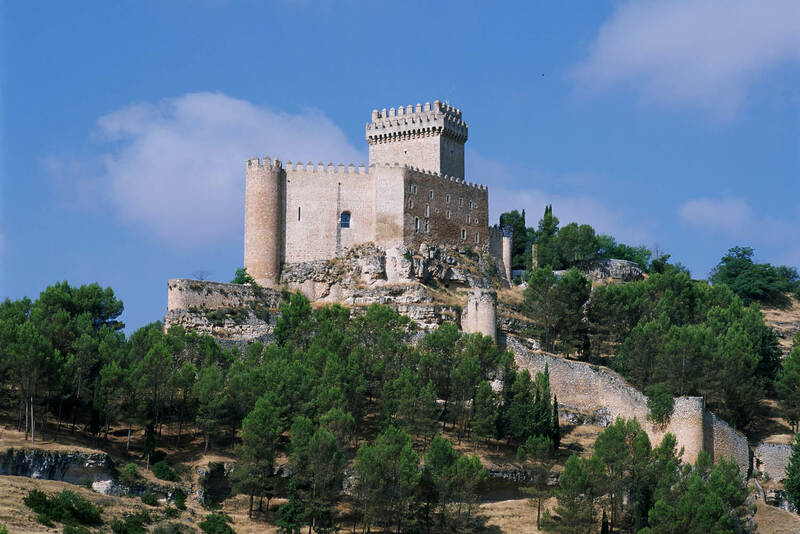 This perfectly preserved eighth-century Moorish castle (complete with original wooden beams) overlooks the village of Alarcón in the Castilla-La Mancha of central Spain. Perched atop the Pico de los Hidalgos and contained within a wall, this small but charming village is considered one of Spain’s loveliest and has been designated an area of artistic and historical importance. The pretty town of Santillana del Mar, in Spain’s northern region of Cantabria, was designated a National Monument in 1889. This charming parador in a beautiful old house blends into its picture-postcard surrounds effortlessly. 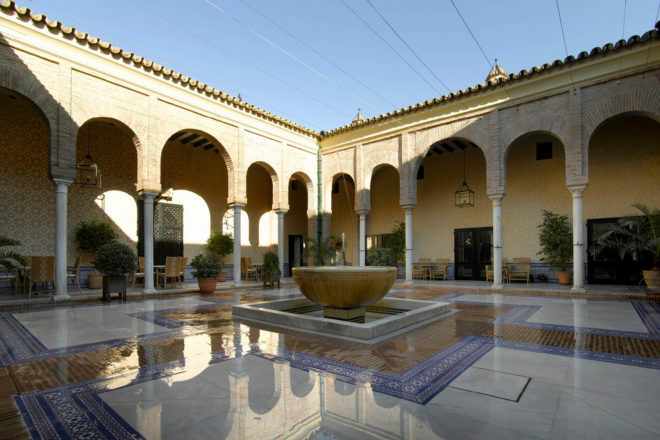 For an immersion into the intoxicating culture of Andalucía, it doesn’t get much better than a stay in the four-star Parador de Granada, set within the grounds of the Alhambra complex. Part of a Nasrid Palaces and mosque built in the 14th century that was later converted into a Franciscan convent, this is Spain’s most popular parador, so make sure you book well in advance. It’s also at the pointy end of the parador price-range, but the pay-off is the unique opportunity to wander the fountains, gardens and intermingled architecture of Spain’s most visited monument long after the crowds have left. Thirty minutes from Seville, this four-star parador in a 14th-century Arab fortress affords a wonderful opportunity to see Moorish architecture – such as its intricate tilework – up close. Perched high, Parador de Carmona also has unbeatable views of the Andalusian countryside. Then check out the Portuguese version of Spain’s paradors, Pousadas: similarly based out of former convents, monasteries, castles, palaces and in nature preserves and mountain ranges.